98- 99.0 per cent to 100.5 per cent.KMnO4. 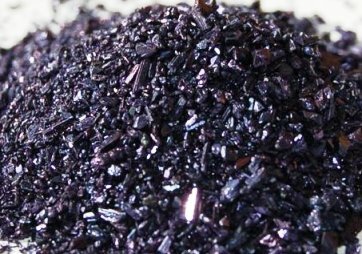 Dark purple or brownish-black, granular powder or dark purple or almost black crystals, usually having a metallic luster. Soluble in cold water, freely soluble in boiling water. It decomposes on contact with organic substances.